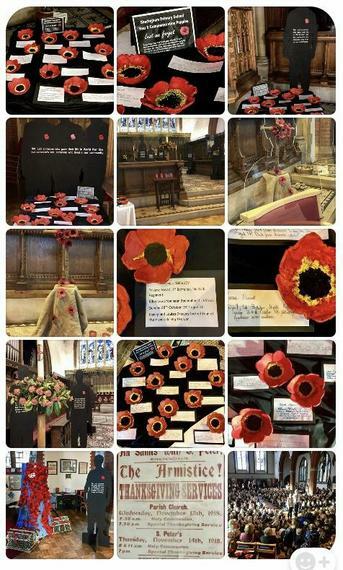 On Monday the school held a special Remembrance Service at St Peter’s Church to remember the fallen during conflict in the two world wars. This special event also celebrated the end of WW1. In preparation for this event our Year 6s made pottery poppies each with an initial of a fallen solder during conflict. The choir practised songs for the occasion and each year group played their part. Special Thank you’s go to Rev Christian Heycocks, Mr Perry, Miss West, Mr T Groves for organising the day and Mr Cooper and Jenny Skivington for their work with the choir. Finally, thank you to all the parents, teachers and teaching assistants and children.